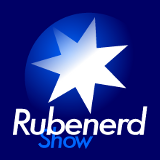 20:00 – Ruben gets nerdy discussing DragonFlyBSD and why it's awesome, keeping track of what I'm talking about using a PDA (being a podcaster and all! ), funny signs on Caltex petrol pumps that don't make a lick of sense, our trip to Victor Harbour in March this year and running out of fuel, and a tasteless [but side splitting] weather report by Chopper. Plus I finish the show in a record 15 seconds, you have to hear it to believe it!